The cutlery end of the handle is wide and flat while the neck is delicate and gracefully curved. 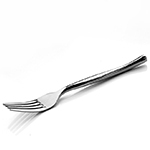 Cutlery from the innovative LAYANA range always cut a fine figure, whether twisted or turned. A treat for the eyes in addition to good ergonomic design. 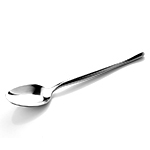 Stainless cutlery with delicate outline to collocate different thickness making simple curves to have different depth. 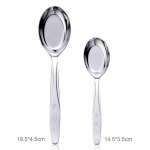 Taiwanese spoon is designed for Asian cuisine custom. 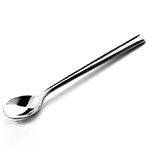 We deepen the scoop of spoon in order to increase using convenience.